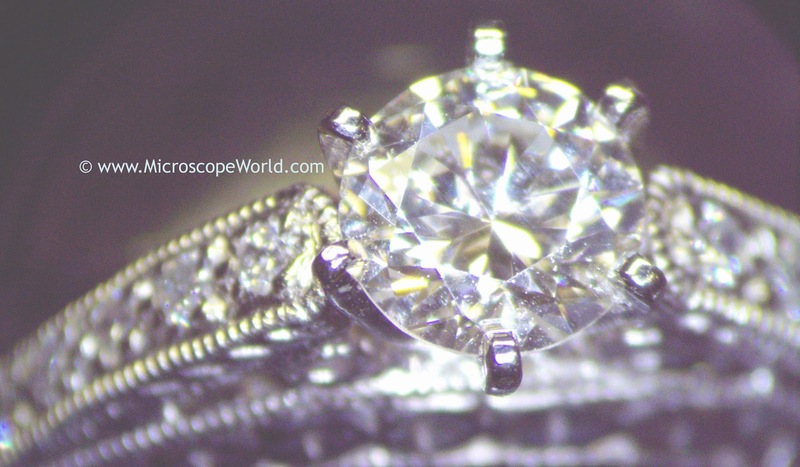 Viewing gems and precious stones under a microscope can sometimes prove tricky based on the reflective nature of cut stones. A gemological microscope is usually best with a gem clamp and a darkfield attachment. 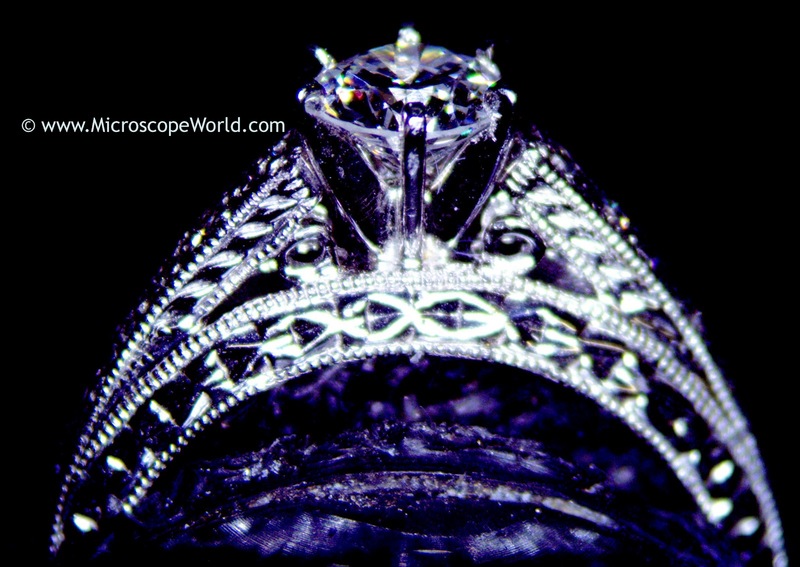 These jewelry images were captured with a Meiji gemological microscope using a microscope c-mount adapter with the MW5.1 CCD microscope camera and included software. 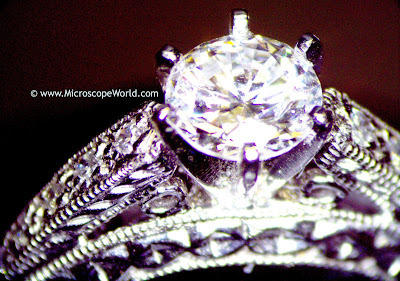 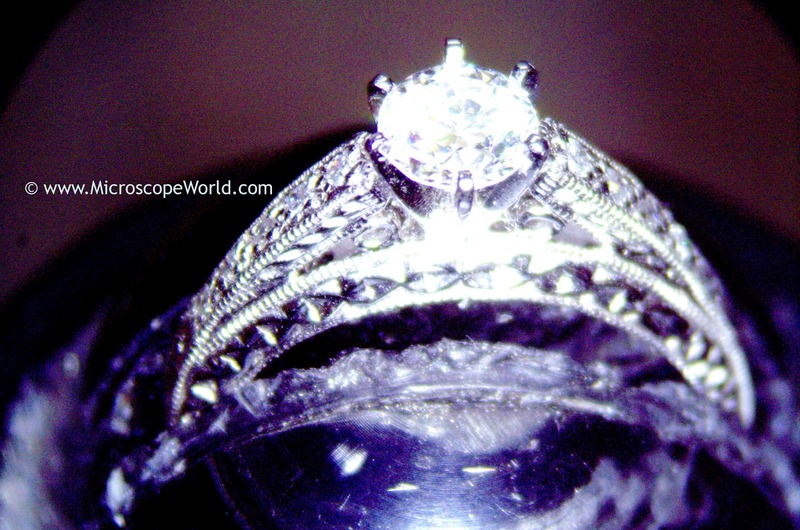 Most gemological images are captured at a low magnification, typically between 10x - 20x.